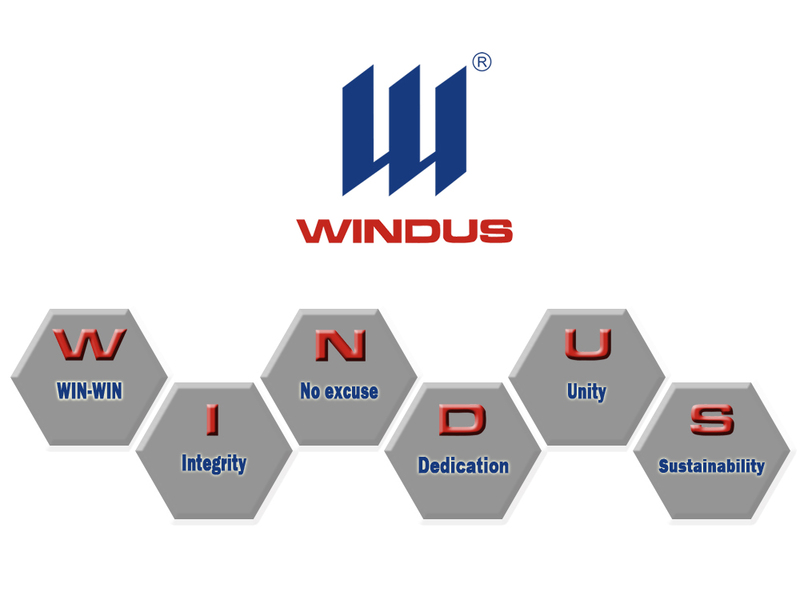 Founded in 1998, WINDUS is a global OEM/ODM service provider of castings, metal stampings, fabricated and machined parts as well as assemblies and testing for variety of industries such as Water treatment, Agriculture, Offshore oil, Construction, Railroad, and Automotive. WINDUS obtained ISO9001 accredit by TUV in 2003. With implementation of ERP system, Office Automation system, WINDUS has successfully integrated its business and work flow, which greatly enhanced the internal work efficiency and customer response speed. All the inspection requirements and records are properly kept in our Quality Information System, enabling us to measure our performance and continuously improving the services to customers. With an experienced and professional engineering & service team, WINDUS defines itself as a “one stop service” provider, offering a wide range of services including design assistance, 3D rapid prototyping, production methods, engineering, project management, expertise, and flexible business approaches such as Kanban, Consignment, etc. With years’ experience, we’ve steadily built a reputation for quality and value, earning us awards from our customers, industry associations, and communities.